We will be exploring all of the different areas of traffic that your website can obtain. This month we will be looking at organic traffic. Both what it is and how it can benefit your site. Organic traffic is what is often referred to as “free traffic” or “Search traffic” and comes from users of various Search engines making search queries. On a search engine like “Google” organic traffic listings exist underneath the Paid Search and Local Search results on the majority of searches. In some instances there are only organic listings displayed when someone makes a search. The positive thing about organic search traffic is that it is used by 100% of search users and is the most trusted of all the search results that are displayed. All search engines on the Internet crawl your website to determine what content you have on your site and then display those pages in their Search results. Why is it beneficial to your site? As mentioned almost all search engine users trust organic results. So when you receive traffic from Search engines in this way you often gain the highest quality users for your particular site. Whether you are a content providing site or trying to sell a product or a service this type of traffic is very valuable to your sites success. Often web developers design their site with the goal of attracting this kind of traffic to their website. How do you capture this traffic? Many webmasters will add additional content to their site through blogs or additional pages to try to capture particular keyword rankings in organic search. The most simplified ways of attracting this traffic to your site is optimizing your onsite meta titles, headlines and page content. 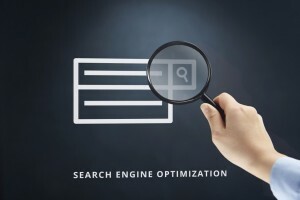 Making sure that each keyword you are looking to target has a natural place for a Search engine to crawl to find that content on your site is essential. Since many sites have been online now for decades it may take more than just on-site content changes to improve on your search rankings and you will need to acquire off-site links as well to improve your sites chances of appearing high in search rankings and thus increasing your site traffic. Overall capturing organic traffic is an essential part of success for your website. Making sure that your site is targeting the right keywords with solid and original content is key to capturing this type of traffic for your website. This entry was posted in Organic SEO, SEO Company, SEO Services and tagged google, organic SEO, search engines. Bookmark the permalink.